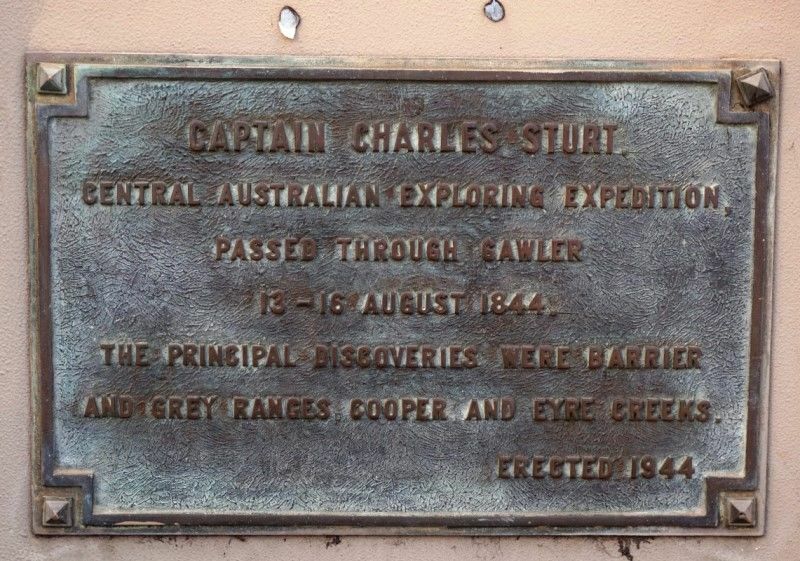 A plaque commemorates the centenary of Charles Sturt’s exploration into Central Australia and the passing of his party through the district in 1844. The plaque was originally located on a cairn unveiled in 1944 on the old Market allotment at the corner of Murray and Cowan Streets. The cairn was demolished in 2002 when 156 Murray was developed as 'Bed Shed' and the plaque itself was affixed to the wall next to 154 Murray Street. 13 - 16 August 1844. And Grey Ranges, Cooper and Eyre Creeks.